The Kershaw Cyclone has a dial on the spine that will allow you to engage or disengage the assisted opening mechanism. The knife is easily opened using the thumb stud located on Sandvik 13C26 stainless steel blade, or you can use the lever on the spine. The 6061-T6 anodized aluminum handle is lightweight thus helping the knife weigh only 6.3 oz. 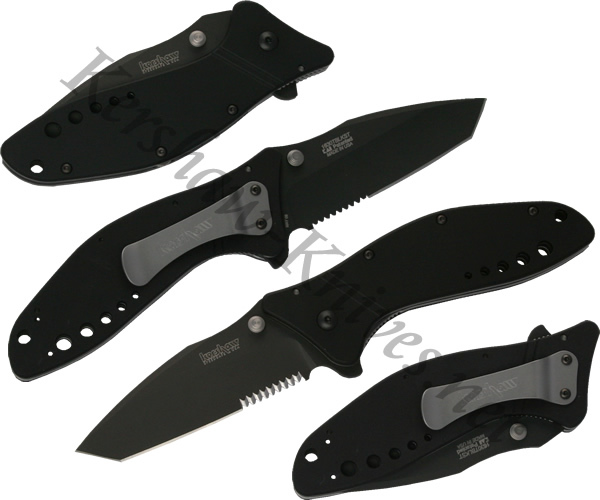 This Kershaw 1630TBLKST model has a partially serrated tanto blade and is totally coated in black.